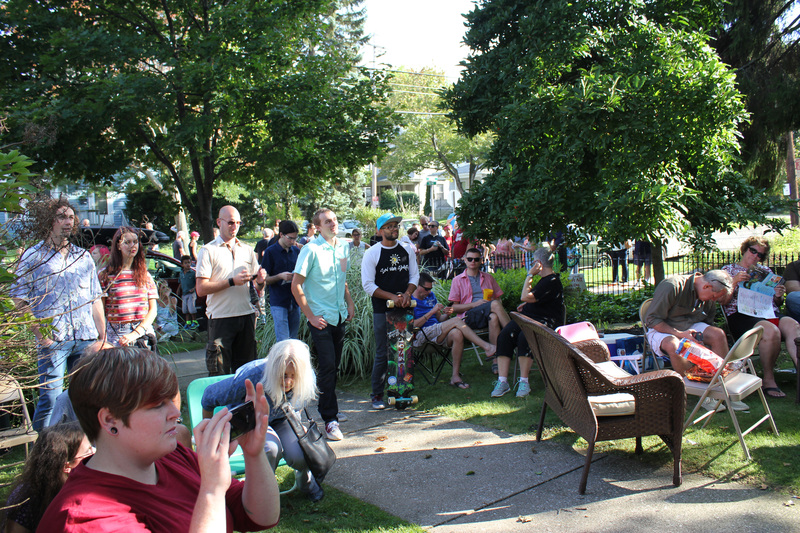 This past weekend, I went to an amazing event called Porch Rokr in Highland Square. 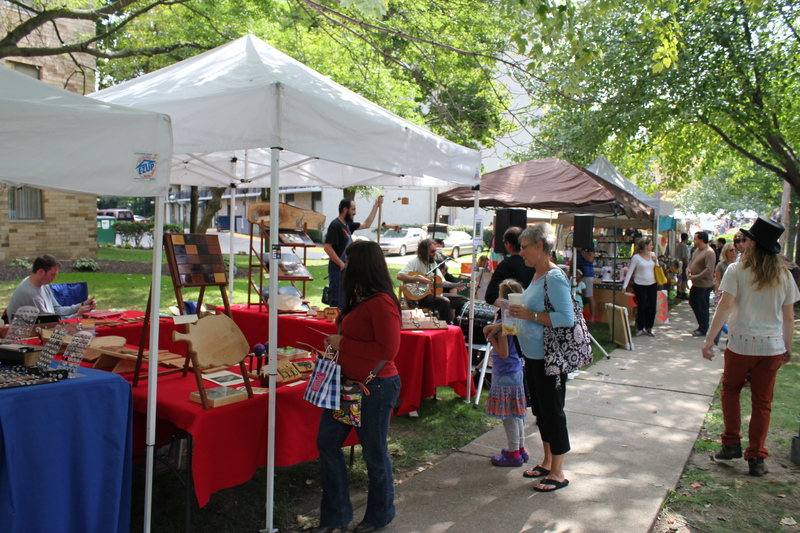 More than ninety bands and various vendors came together to provide the public with a day of fun, food, art, and music. 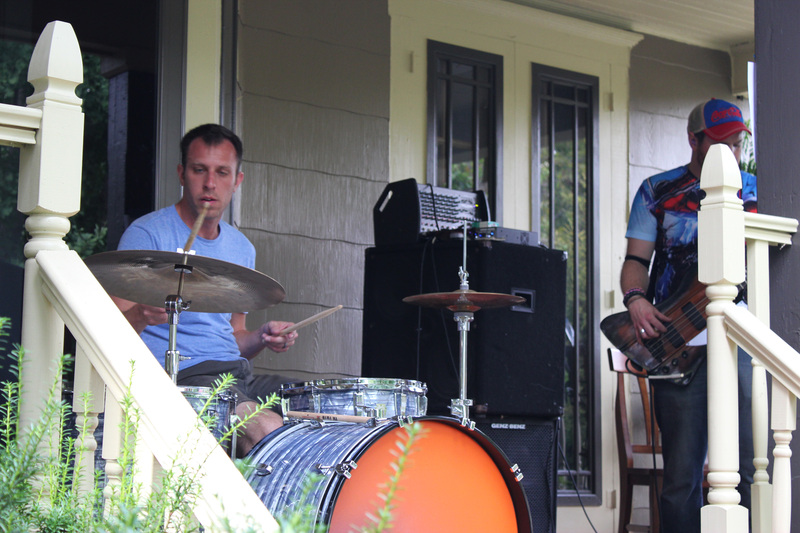 The day started at 11am with mainly local bands hitting designated porches to rock out. I ended up not getting out until around 1, but I was able to check out a bunch of new bands. I will provide short descriptions with photos of each band I saw. The first band I saw was The Violent High Fives. They’re an Akron-based band, but I don’t know much about them. I heard a small section of their set and what I heard wasn’t bad. I’ll have to check them out again to give a full report. 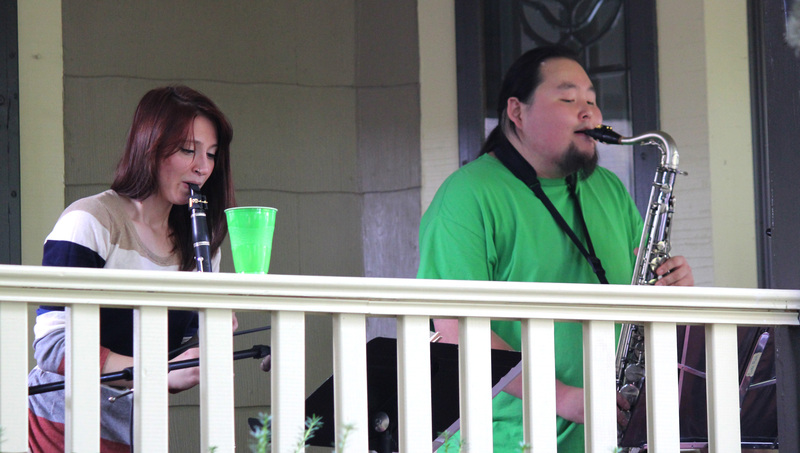 The next band was Sons of Midori. 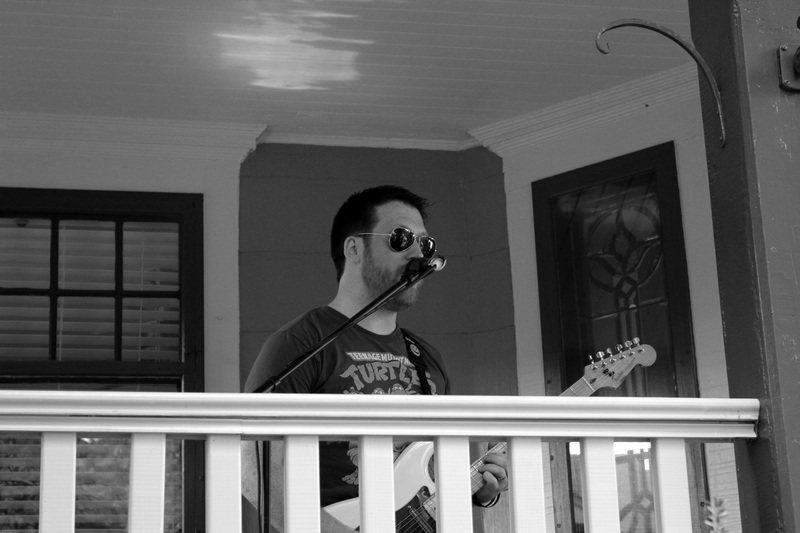 They are a Northeast Ohio-based rock band that was founded in 2009. Personally, I like their recorded material a bit more than I did hearing them live. I will admit that it could be due to the setting. The tracks I heard on their Bandcamp page reminded me of some of the heavier rock that I used to listen to in high school. They’re not a bad band at all. 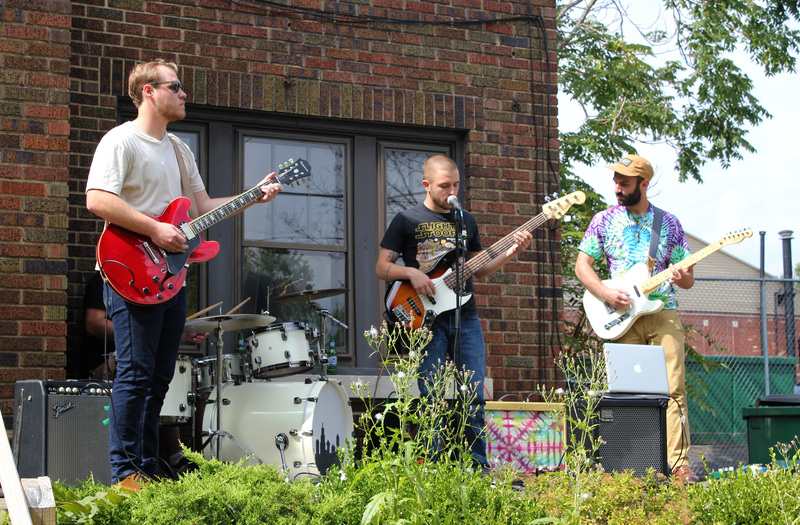 One of my favorites from the event was the Akron-based rock band called The Brothers’ Band. They are composed of two separate bands that eventually came together to produce a sound reminiscent of the 60’s. Overall, they have nine members and released their first EP in November 2013 (‘Til the Rock Ain’t Stone). 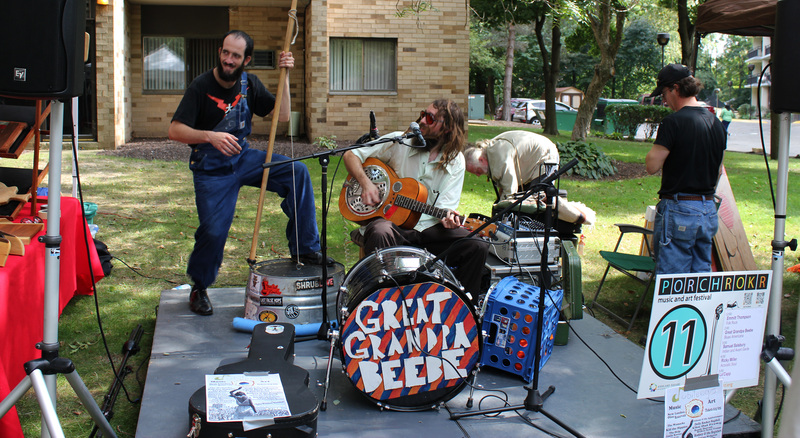 Great Grandpa Beebe is a Blues Americana 2-piece band from the Northeast Ohio area. 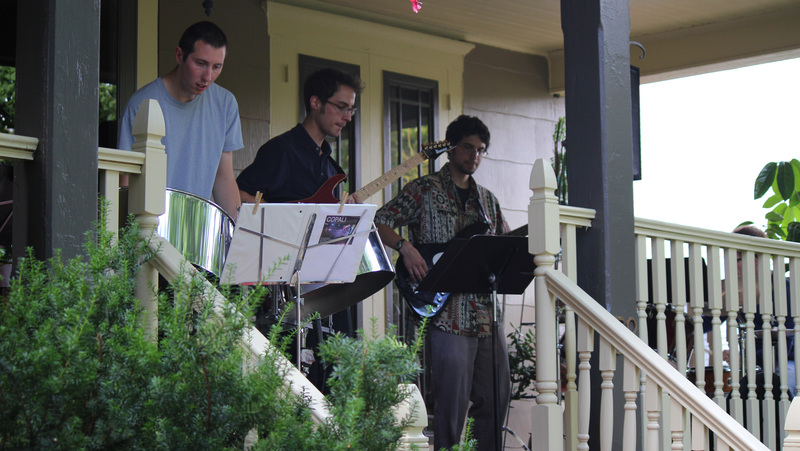 They take you down South to the bayou with their soulful, rootsy sound and washtub bass. 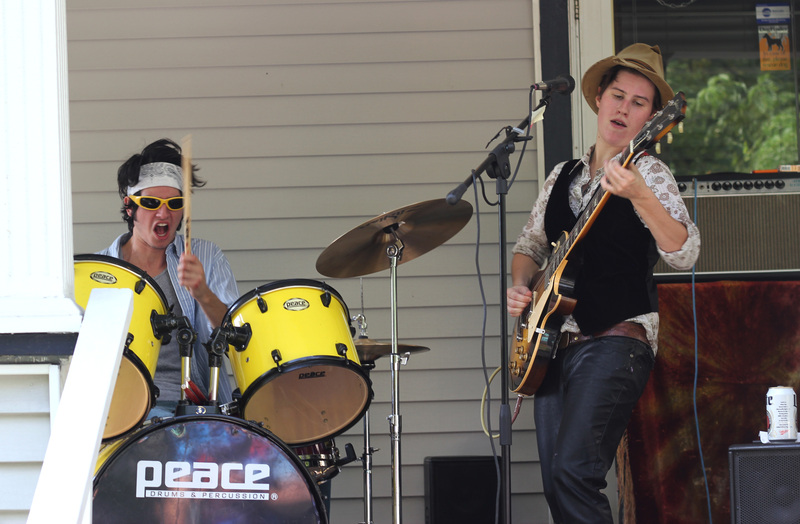 Time Cat is a local favorite, 2-piece rock band. I’ve heard them a couple of times earlier this year and they aren’t bad. Jeri has a pretty great voice and Sam is awesome on the drums. They just came back from a nation-wide tour to promote their most recent album. Definitely held one of the bigger crowds of the afternoon. Anchor the Moon is one of my favorite up-and-coming bands. Each time I hear them play, it sounds like they’re getting a better foothold on where they want to be. 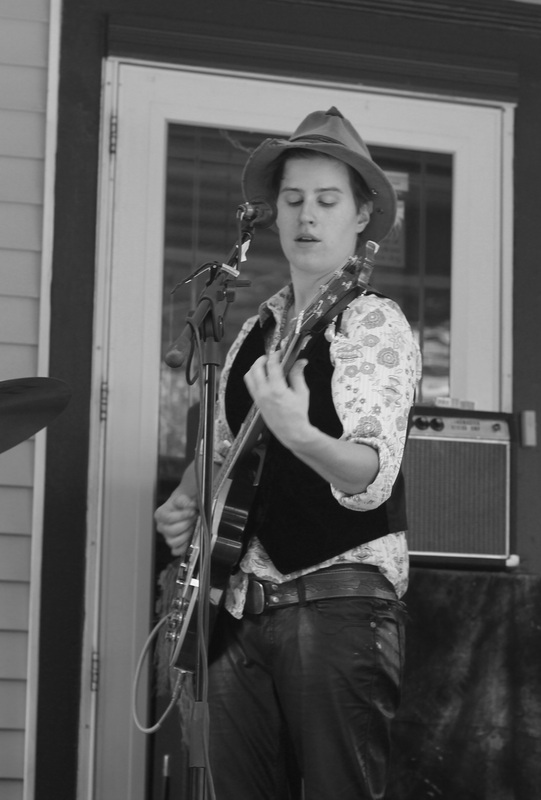 Overall, their sound is very blues and rock inspired. I’m still more partial to their instrumental work more than anything else. Their EP is a pretty good listen. Since I last heard them play, they’ve added a trumpet player. I look forward to seeing them continue to grow. 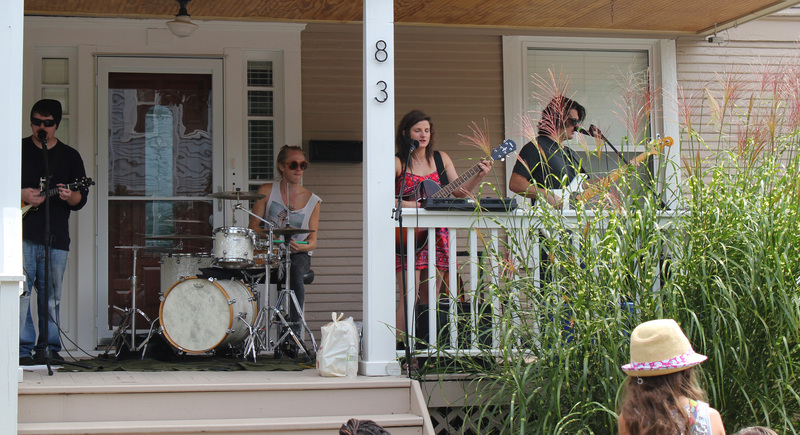 At the same time, Copali was playing a few houses down, so I ran to catch some of their set. This was my first time hearing them play, but a coworker of mine is their bassist. I enjoyed their sound. It’s all instrumental funk. I’ll have to check them out again to give a more thorough description. Ralph’s Carnage was one of two bands playing during the 6pm time slot. This particular band played jazz. Their crowd quickly covered the whole American Legion yard. 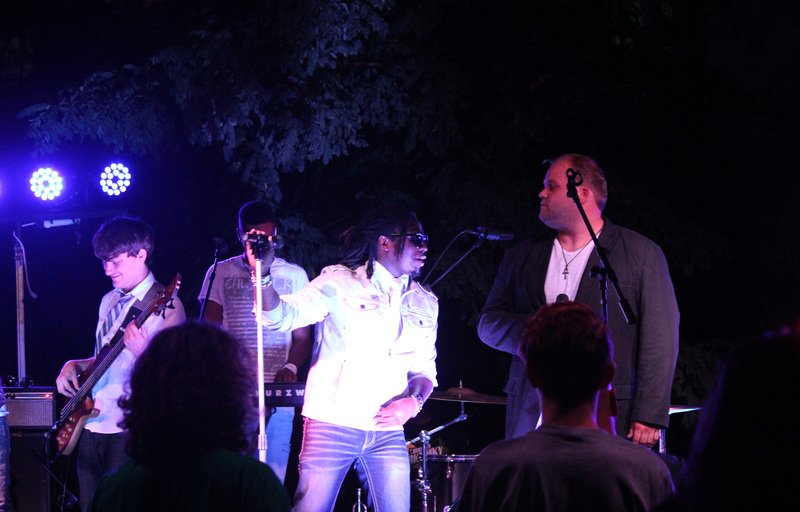 Ralph Carney, the performer in the green shirt, recently created the theme song for the Netflix animated show, Bojack Horseman, with his nephew Patrick J. Carney from The Black Keys. Needless to say, they had an amazing set and one of my coworkers played the bongos! At 7pm, the headliners graced one of the bigger stages. Winslow is an absolute favorite of mine and I’m not saying that because I know the lead vocalist. This soul/rock band recently won the Northeast Ohio part of the Hardrock Rising Competition, beating out tons of other bands. Maurice has a great voice with an amazing stage presence. They play tunes that really get you dancing. I know they wrapped up with a Michael Jackson tribute, but I ended up leaving before that segment. Overall, this was an amazing event and a great introduction to the Akron music scene if you were unaware of it. I’ve provided links to all of these great band in their description. You would do yourself a disservice if you didnt’ check out at least one.